Smeg has released Australia’s first domestic Blast Chiller that rapidly and safely changes the temperature of cooked food. The benefits are said to be threefold for those who like to cook ahead, with a huge reduction in harmful bacteria and extending the life of stored foods while retaining texture, aroma and nutrients in stored foods. The Blast Chiller also features deep freezing, defrosting, low temperature cooking, delay/start, temperature hold, beverage chilling, proving and sanitising functions. 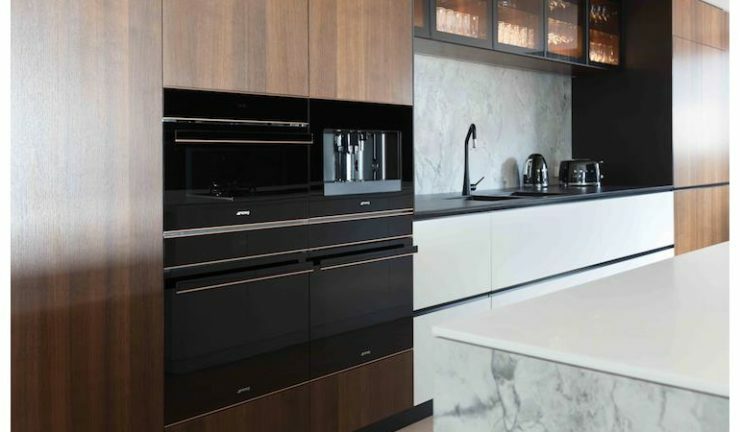 Part of the Dolce Stil Novo premium kitchen collection, designed and made in Italy with signature Eclipse black opaque glass oven doors, it harmonises with other appliances when not in use, becoming clear when oven or Blast Chiller is turned on. Refined stainless steel or copper detailing complements the sleek, mirrored surfaces. The appliance has received two design awards, The Red Dot and a Good Design Award (Chicago Athenaeum Museum). The Blast Chiller retails for $7,490 and carries a five year warranty.